The Delhi High Court has rejected a plea by Hindustan Unilever Ltd (HUL) seeking a restraint on an advertisement by Emami Ltd which the former claimed to have been damaging its Fair and Lovely brand of fairness cream besides infringement of the trade mark, disparagement and unfair trade practices. In its ruling, Jayant Nath, judge at the High Court concluded, “In my opinion, overall the commercial advertisement does not leave an impression that in any manner disparages the product of the plaintiff (HUL). It cannot prima facie be concluded that the said TV commercial seeks to slander the goods of the plaintiff”. According to the petition filed by HUL, Emami, in September last year, while promoting its Fair and Handsome brand of men’s fairness cream, had come out with a television commercial showing a product that resembled its Fair & Lovely terming it to be a fairness cream meant for the womenfolk. HUL argued that while around 30 per cent of the Fair and Lovely users were men, Emami’s showing of the product as a fairness cream for women, resembling a Fair and Lovely tube, was unjust. The order also noted that HUL had stated that Emami had used the pink and white coloured trade dress or packaging as well as a device device in which two faces of a model are portrayed which resembles Fair and Lovely. HUL pleaded that this manner of representation of its brand is an important source identifier of Fair and Lovely which is referred to as dual face device which is used on the label or packaging across all range of Fair & Lovely branded products. According to an HUL spokesperson, on September 14, 2018, HUL had obtained a favourable order from the Delhi High Court over this advertisement, post which Emami consented to change the tube shown in the ad, as well as remove the word Lovely. “Even in the modified ad, we contended that Emami was denigrating women’s fairness creams and misleading consumers into believing that women’s fairness cream is ineffective for men. Regarding the order dated 27th March 2019 on our interim application, we are examining the order”, the spokesperson said. According to Nath, “The TV commercial no doubt seems to make fun of a male using a ladies cream. Can it be said that this advertisement on account of the said dialogue stated is false or misleading or unfair or deceptive? Does it amount to generic disparagement. The answer is in the negative. In my view, the plaintiff is being over sensitive on the story line of the TV commercial”. In the past, Emami and HUL had a tussle over Men’s Fair & Lovely – a brand owned by HUL, where in an advertisement, HUL had aired a television ad claiming their own product to be the original one which Emami said had caused it “direct disparagement to Fair and Handsome”. While a lower court had upheld Emami’s contention leading HUL to move the Calcutta High Court, it rejected HUL’s appeal stating that even on prima facie consideration, HUL’s fairness cream for men is younger than Emami’s. 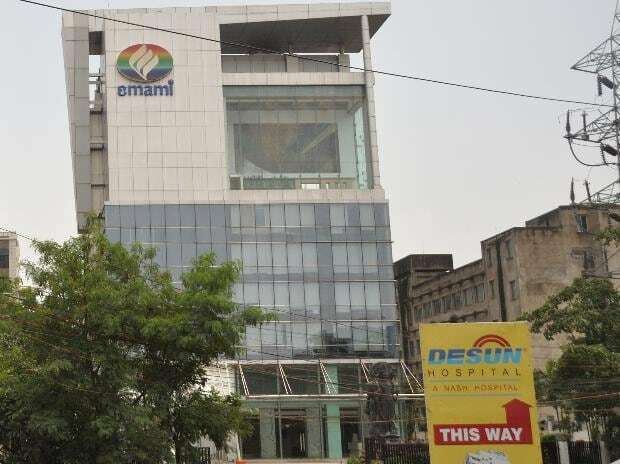 According to a statement from Emami, HUL has been targeting the Fair and Handsome brand owned by Emami in many other forums such as ASCI. In 2017, HUL had contested against Fair and Handsome Instant Fairness Face Wash and 100 per cent Oil Clear Face Wash.
“Reviewing the clinical study reports, consumer evidence and research studies, the Independent Review Committee (IRC) of ASCI, chaired by Justice Mohit Shah, Retired Chief Justice of Bombay High Court, summarily dismissed the complaints, leading to dismissal of all 18 objections on both products”, the statement said.